This article is about the region. For the city, see Ilessan Hills (city). Ilessan Hills is an inland region in southern High Rock, within the Iliac Bay region. 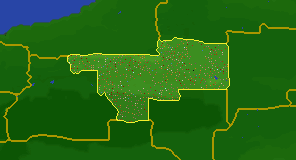 It is bordered by Ykalon to the northwest, Daenia to the northeast, Shalgora to the east, Daggerfall to the southeast, Glenpoint to the southwest, and Northmoor to the west. The region is home to The Glenmoril Witches and the Glenmorial Coven can be found here.